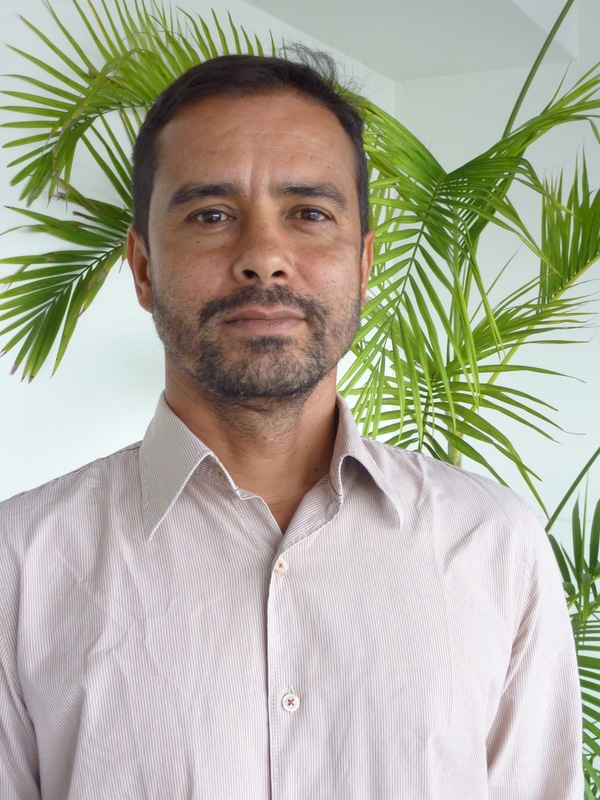 Agricultural Engineer at UFRPE, Specialist in Soil Conservation, Master in Water and Soil Management and Conservation, and PhD in Agricultural Engineering at UFRPE. Currently works as an independent consultant. E-mail: fabioirriga@hotmail.com. One of the questions I was asked after the workshop we had in Maputo was if I could mention the most important lessons drawn from the experience capitalization process we started there. Looking back, perhaps the most interesting moment was when the combination of all the separate phases of the methodology made sense to me. At first we were separately deepening each step of the process, getting very specific bits of information and distributing it all in the tables we were using – only to put it all together again in one article. Actually, all one has to do is to follow a circular process, where the pieces are first fragmented and then merged as part of a whole. But what I found most useful was that participants were all interacting with each other, and this is something which kept me alert throughout the whole process. Each person has a different purpose; each one puts it on paper differently. But we all worked beside each other, we heard discussions next to us, and we did peer reviews. Encouraging participants to interact with each other is one of the key principles of the experience capitalization approach. Learning together forces one to look through the eyes of the other. Of another person, or another country, for that part. 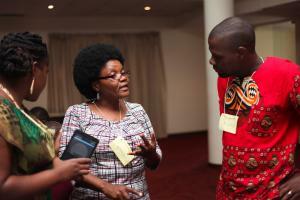 It was very good to see professionals from Brazil and Mozambique coming together, because of our several similarities. We share similar climates, we were colonized by the same country and now share the language, and have several similar socio-economic and environmental problems. Encouraging participants to interact with each other is one of the key principles of the experience capitalization approach, because each participant brings his or her knowledge to the workshop, and to the process. Writing, drawing, recording, analysing a given intervention… in each of these steps we see an individual’s own perspective, as it is he or she who has to organize the information in order to analyse it better. But the added value of these interactions is seen throughout the whole capitalization process. One way or another, each one of the participants is present in your own process as well, following you step by step. In fact, it is as if somebody else follows you and helps you with each of the choices you have to make: do I include this piece of information in the article, or not… And if I do, does it fit here – or should it be added somewhere else? Talking softly to your neighbour makes it less likely to feel ashamed of the mistakes one is bound to make while learning. It also makes it easier to face the several moments of ‘kill your darling’ that inevitably come up. In this way, while the article gets shorter, we get sharper. But because I wrote the article alone, my interest in having it as end product compelled me to appropriate all the steps of the methodology, and make them my own. This may look like a contradiction, but then there are also individual benefits coming out of a collective exercise. This is particularly useful now for me, as I am working as an independent consultant. Given the shortage of professionals who are specialized in participatory methodologies, and in knowledge management in particular, I can also say that having gone through this process has helped increase my personal value in the job market. Another advantage is that, involving different people in its different steps, the experience capitalization process creates a horizontal space, and therefore helps us reach a broad, non-selective audience. As consequence, the resulting products (as articles or documents) help break barriers in terms of knowledge appropriation, reaching diverse audiences with diverse types of knowledge: from the small producer in the rural areas to the project managers and academics. 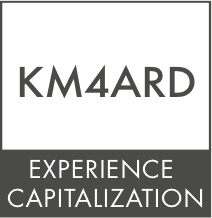 An experience capitalization process is a very strategic tool for the individual professional, while it allows organizations to reach actors at all levels. Another great advantage is that it helps creates linkages with other knowledge management initiatives, as well as with the necessary monitoring & evaluation taken within an organization. I am convinced that, by generating a horizontal process for sharing knowledge, this methodology helps increase social capital in the rural areas, and also within organizations. In other words, because of the potential of accessing a broad public, experience capitalization may become a very suitable tool in rural development and the fight against poverty. Representatives if projects and organizations in different parts of Mozambique and Brazil joined in Maputo in May and July for two workshops on experience capitalization, which were conducted entirely in Portuguese. By Fabio dos Santos Santiago. Having participants sharing information and interacting with each other during the experience capitalization process enhances the potential for adoption, adaptation and scaling up. By Marta Araujo. "As editor, I saw the tables which all participants prepared during the workshop, and wondered how to make use of them. How to put all the information available together? This is when I grabbed a stiff cup of coffee and my colour pencils, and thought of a figure which could help." By Gloria Nyamuzuwe. "Looking back at the experience capitalization process we tried, I can say that I learnt a lot about framing and about the importance of having a clear focus. Not all the information that seems important to collect in the field is relevant."